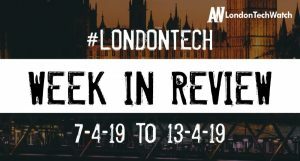 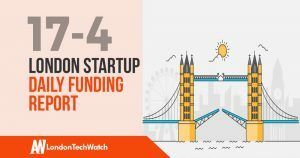 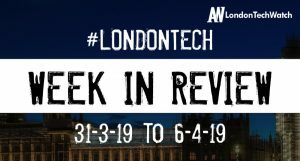 London TechWatch is the destination for startup news; opinions and reviews; investment and product information; events reported, experienced, seen, heard and overheard in London. 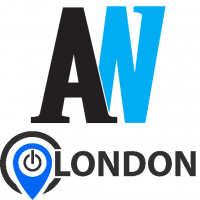 But it’s who we are that makes us different: we’re the writers and the entrepreneurs; the investors and the mentors; the lawyers and the marketers; the realtors and the recruiters – the people who work in the industry. 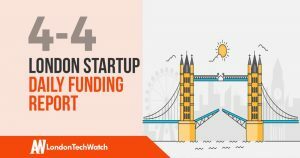 The latest venture capital seed and angel deals for London startups for 17/4/2019 featuring funding details for Credit Kudos, Cytora, and much more. 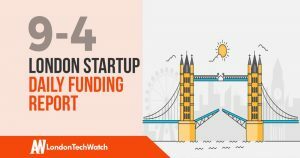 The latest venture capital seed and angel deals for London startups for 16/4/2019 featuring funding details for Medbelle, Howamigoing, and much more. The latest venture capital seed and angel deals for London startups for 9/4/19 featuring funding details for Ichthion, Veratrak, and much more. The latest venture capital seed and angel deals for London startups for 4/4/19 featuring funding details for Onfido, OpenGamma, and much more.